Your dining room might be the eat-in area of your kitchen, but it doesn’t matter. You can still make it look like the best place to pull up a chair and enjoy a meal! 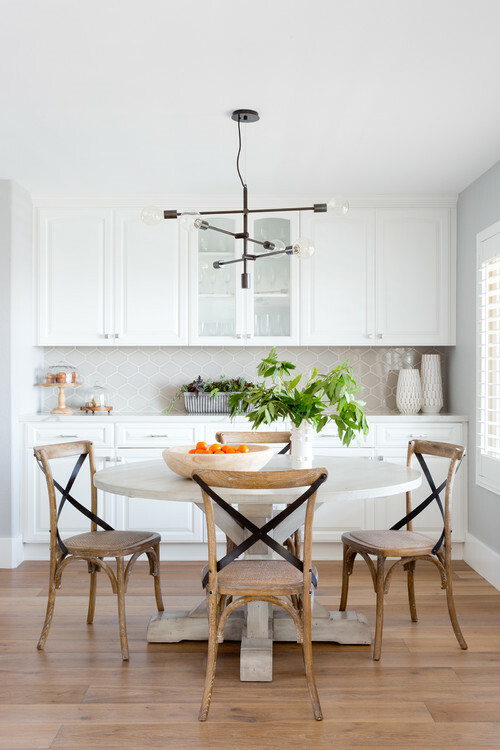 I love the circular table and the leather-strapped chairs. An amazing industrial light completes the modern farmhouse look.